Join us for a perfect excursion to wonderful Yorkshire! We start our day at Skipton, a traditional North Yorkshire market town. The town was listed in the 2018 Sunday Times “Best Places to Live in North of England” and it is easy to see why. 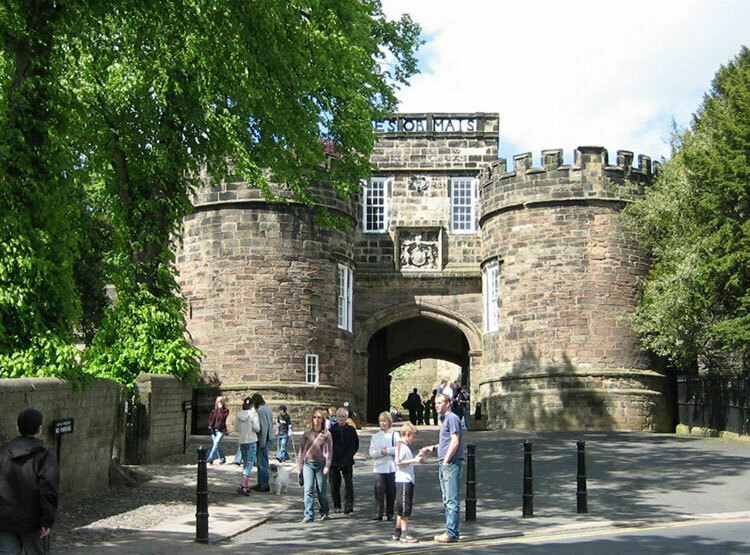 There is plenty to see and do at Skipton. There is one of the oldest mills in England, High Corn Mill, dating all the way back to 1310 and powered by the waters of the Eller Beck. Even more historic is Skipton Castle, built in 1090. It is one of the most complete and best preserved castles in the UK, and open to the public. A wonderful place to visit. And of course, you can spend a few hours enjoying the scenic market town itself. There are canal walks around the castle, plenty of local village shops and a wide array of village pubs and restaurants to drink and eat traditional Yorkshire fare. We’ll then take you to Dale’s village Grassington – an array of wonderful Yorkshire stone buildings and picture postcard pretty. The small market town has quaint roads and buildings, you feel you are stepping back in time. Centred on its small cobbled square are shops, pubs, the village museum, small cafes, restaurants and hotels. Grassington Folk Museum houses a collection which tells the story of Wharfedale. We’ll then all return home in one of Burland’s luxury coaches, arriving back around 7pm.